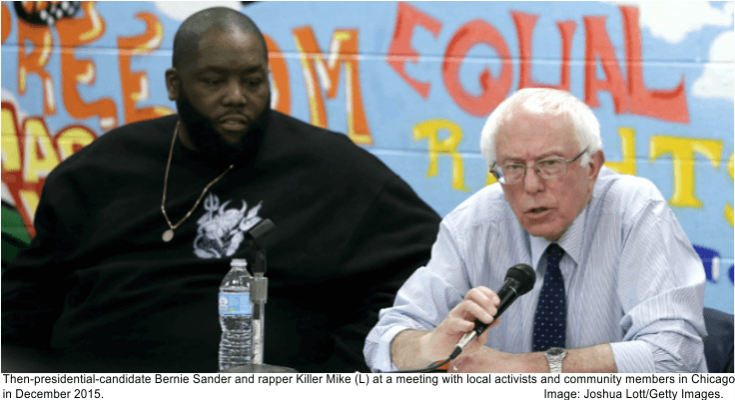 WASHINGTON, District of Columbia—Rapper and political activist Killer Mike, a prominent Bernie Sanders supporter during the Democratic presidential primary campaign, held a conference call yesterday with dozens of popular rappers and hip-hop artists and warned them to avoid getting tricked into a “Sister Souljah Moment” by the Hillary Clinton campaign. Killer Mike told the conference callers he had received a tip that the Clinton campaign is planning “something huge” to help boost Ms. Clinton’s appeal among Republican and moderate voters, according to a rapper who participated in the conference call—who spoke under the condition of anonymity because he did not want to jeopardize his role on the upcoming Killer Mike CD recording, which he will be featured on several tracks. “He got good inside info ’cause he got peeps working inside now with Clinton who dropped that on him,” the anonymous rapper said in a telephone interview. 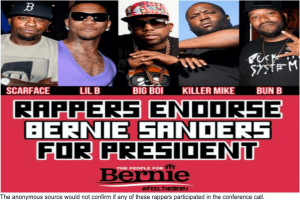 The anonymous rapper said Killer Mike advised the callers to avoid attending political events until after the election. In June 1992, in a speech at a political event hosted by Jesse L. Jackson Sr., Democratic presidential Bill Clinton inaugurated the first Sister Souljah Moment with his unexpected, sensational denunciation of Mr. Jackson for his association with Sister Souljah—at the time a popular author, rapper, activist who had previously made controversial statements considered by Mr. Clinton to be racist and who had spoken at the same event the day before Mr. Clinton’s speech. After the 1992 election, the so-called Sister Souljah Moment became defined as a political takedown tactic used by politicians to disassociate their campaign from a specific public figure or a certain voting bloc, particularly centrist or conservative politicians seeking to disavow the perceived support of an ethnic or racial group or politician. 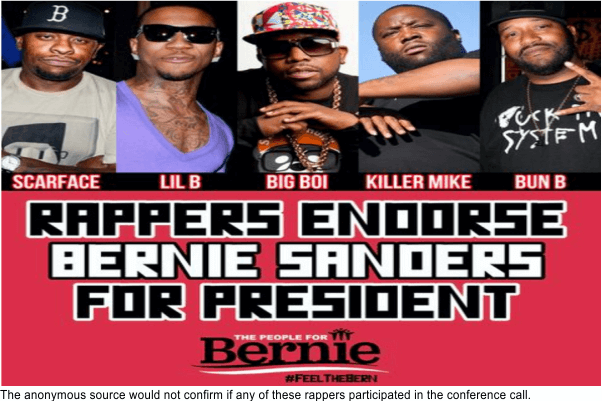 However, he said the conference call participants would be revealed when Killer Mike releases his post-election, political-themed CD in early 2017. In a telephone interview from Atlanta, Killer Mike would not confirm the conference call occurred nor the title and release date of his forthcoming CD. 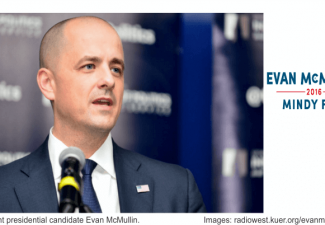 Givhan N. Cites covers the 2016 presidential general election campaigns.